Winemakers and consumers alike love this sturdy, worthy red variety. FOR YEARS, MERLOT has been an important red variety for winemakers in the Walla Walla Valley. In fact, of the 11 historic wines Leonetti Cellar has placed on Wine Spectator’s Top 100 list, five have been merlot, a fact that helped Washington establish itself as a top merlot producer. Merlot had been Washington’s top red variety through 2012, when it was outpaced by cabernet sauvignon. Through good times — and even when the market for merlot goes a little sideways — winemakers and consumers alike love Walla Walla merlot. 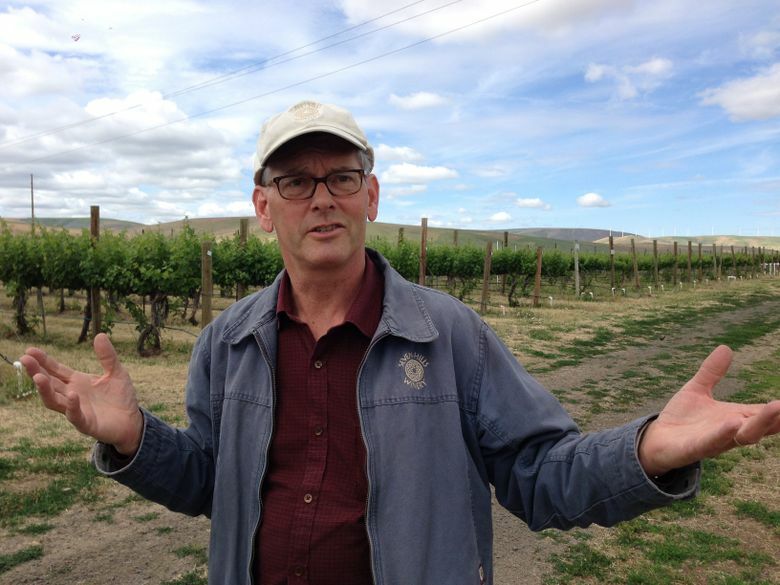 That’s just one more reason it is this year’s featured variety at Celebrate Walla Walla Valley Wine, a three-day celebration that begins June 14 and involves tastings and seminars that gather more than 60 producers. After cab, merlot is the No. 2 variety in the Walla Walla Valley, with more than 500 acres planted. The reason it grows so well in Walla Walla — in fact, in all of Washington — has everything to do with soil and climate. Merlot, it seems, grows like a weed when left to its own devices. When that happens, the grapes can be underripe, resulting in wines that are green and thin. Here are three Walla Walla merlots from historically top producers that will be featured at this year’s Celebrate Walla Walla Valley Wine festival. Ask for them at your favorite wine merchant, or contact the wineries directly. The Leonetti will be the most difficult to find, because it’s for sale only to buyers on the winery’s mailing list; it is sold in limited amounts through select retailers. Seven Hills Winery 2014 Seven Hills Vineyard merlot, Walla Walla Valley, $45: Aromas of cocoa powder, dark chocolate and black cherry lead to flavors of blackberry and plum, backed by dusty tannins and a long finish. Pepper Bridge Winery 2014 merlot, Walla Walla Valley, $50: This classic merlot reveals aromas of black licorice, dark chocolate, plum and blueberry, giving way to flavors of bold ripe fruit, blackberry, a hint of mint, layered tannins and a long finish. Leonetti Cellar 2015 merlot, Walla Walla Valley, $100: Opening with notes of sage, black olive and black tea, it follows with flavors of bold fruit, as baker’s chocolate and blackberry pie combine for a plummy finish backed by resolved tannins. But in Eastern Washington, the anemic soils of the Columbia Valley cause the vines to struggle. When that happens, it can bring the best out of the fruit. In addition, while we think of the Walla Walla Valley as a warm region, it isn’t much warmer than the Yakima Valley, and it gets a fair bit of rain, thanks to clouds bumping into the Blue Mountains. As a result, merlot can be left to hang longer to get ripe, helping the resulting wines develop more interesting flavors without accumulating sugar that would result in more alcohol and an unbalanced structure. This results in merlots that are sturdy — often as big and generous as cabs — age-worthy and among the best on the world wine stage, deserving of our attention.